Cable joint with luster terminal for 12-24 V low voltage power supply. 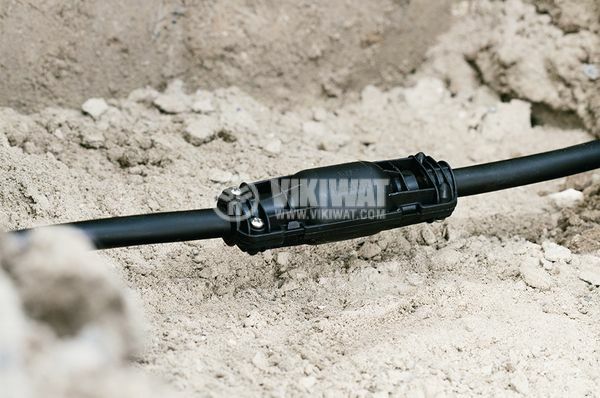 The connector is hydro and dust-proof and is suitable for outdoor installations, underground installations, submerged installations and cable ducts. The Relilight cable sockets are designed for light installations, especially suitable for LED lighting. They are tested according to EN 60998-2-1: 2004 and have protection from external influences IP68. The clutch is of special flame retardant material. Depending on the type of connection, Relilight can be used for direct connections or as a coupler. The Relilight V31.5 U1-PA66V0 cable sleeve is suitable for connecting polymeric cables and PVC, XLPE, PE, EPR and other cables. 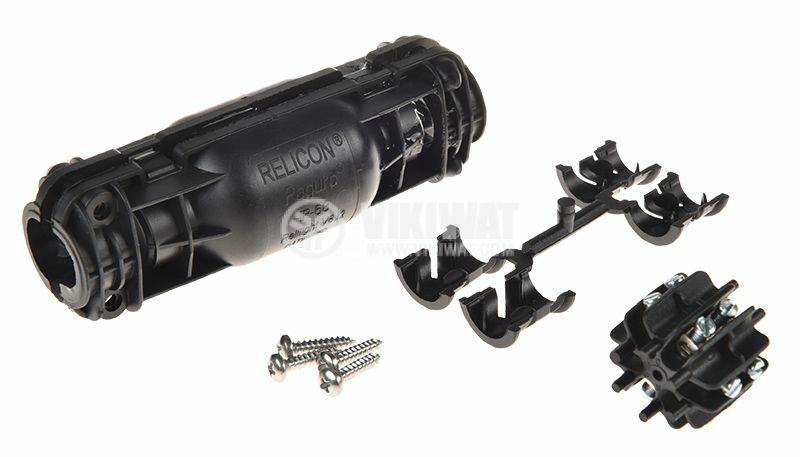 The silicone RELICON gel in the Relilight cable sleeve provides insulation, sealing and mechanical protection. class of protection - IP68 (waterproof). maximum voltage - 12 - 24 V.
width (W) - 24 mm. cables with wire cross-section (min.) - 6 x 0,5 mm². The kit contains a plastic cable joint with RELICON gel, luster terminal from 6 x 0,5 mm² to 6 x 1.5 mm², installation instructions and screws.